Today I was able to track down several UPCs for upcoming POP! figures for Solo: A Star Wars Story. via Brickseek. No names are each are listed for these “Red Cup” coded items, only numerical designations, but they will be deciphered in short time. Click on through to the bottom of our Master List to check them out including the exclusive release info for Target and Walmart. A Reddit user posted a photo of the first teaser poster for Solo: A Star Wars Story on display at his theater. It’s only a matter of time before we get our first teaser. While were on a Han Solo tear, Toys”R”Us will be offering an exclusive Funko POP! figure next year. It is currently listed with a price of $9.99 and is simply labeled as “Ex Star Wars Red Cup* Pop”. *Red Cup is the production name for the untitled Han Solo film. 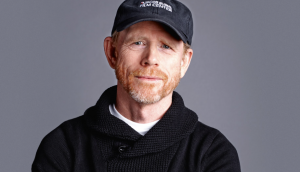 If you’re on social media these days, be sure to follow Ron Howard on Twitter as lately he’s been posting some great behind-the-scenes shot from the production of “Han Solo”. Hollywood Reporter has just posted that directors Phil Lord and Christopher Miller have abandoned the Han Solo stand alone film over creative differences with the studio. Head on over for the full report. 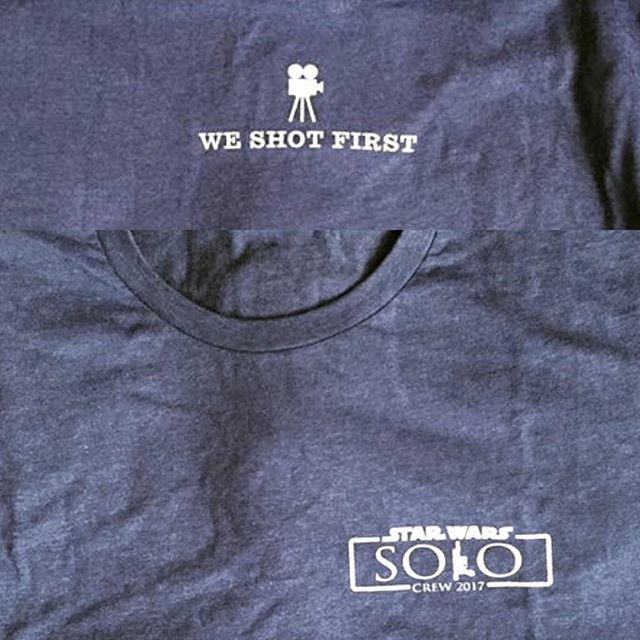 Instagram user StarZoneToys has posted an image of the filming crew shirt for the Han Solo standalone film. Titled simply “Solo”, the logo treatment features Han’s signature DL-44 blaster in place of the “L” and a tagline of “We Shot First” on the back. Thanks to Matt from JediNews for the heads up. Filming has begun for the Han Solo stand alone Star Wars film. 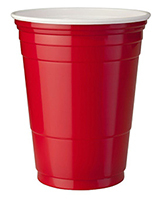 The production name is titled “Red Cup” as a tongue-in-cheek reference to the Solo® red plastic cups. Star Wars “Red Cup” is being directed by Chris Miller and Phil Lord.